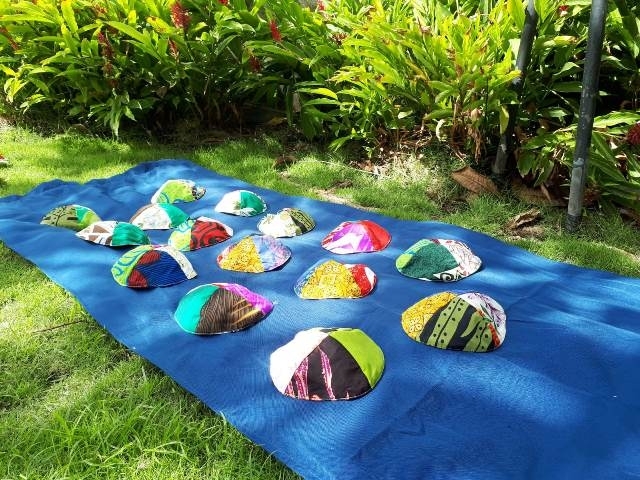 Purchase today our unique and beautiful Aloha Hawaiian Kippot! 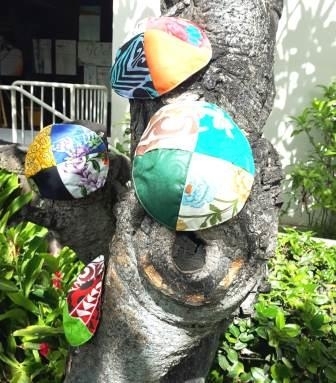 They are sewn especially for us, made of cotton, with prints wearable on both sides and wash beautifully - and make a unique gift or souvenir of your stay in Hawaii. 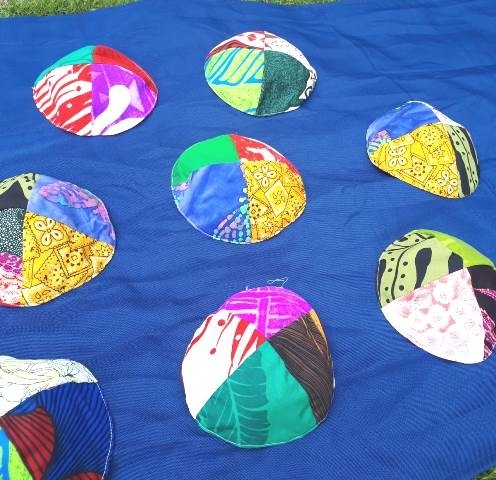 Each kippah has a different combination of patterns. 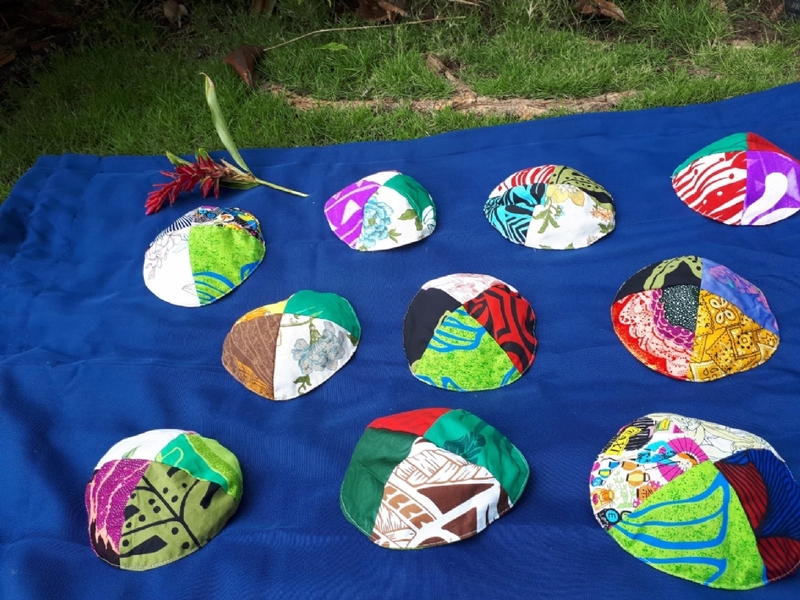 Please call us if you are interested in purchasing any of these lovely yarmulkes. 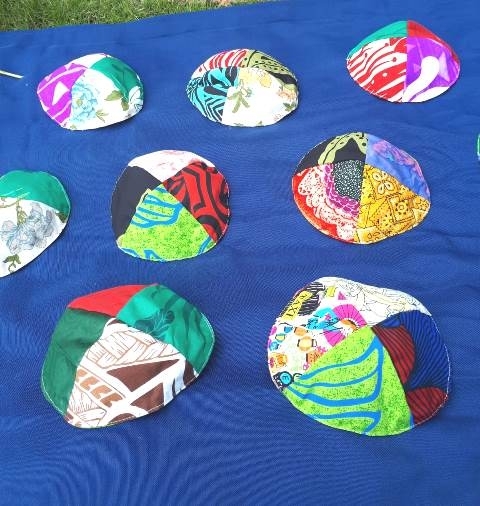 The kippahs are $8 each (+ shipping & handling, if we will be mailing them to you).